So, it is that time of year again! 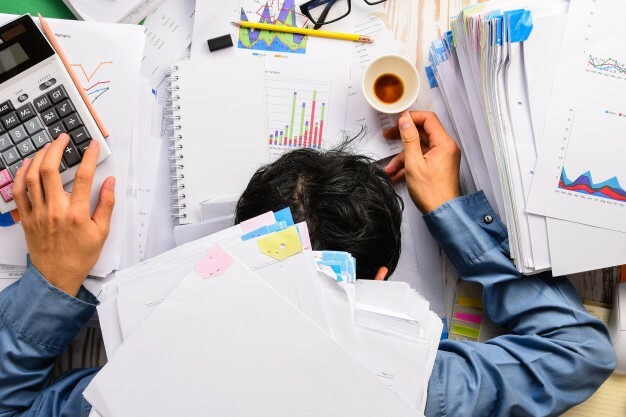 We are already well into busy season and for those of you in Audit, the end is near and, if you are in Tax, the home stretch is almost upon you – you got this, just hang in there! I can’t honestly say that I have had the pleasure of working a busy season but, I have some sort of idea from my time at University. I remember the library becoming somewhat of a second home in the last month or two of my final year. My days pretty much consisted of classes, exam preparation and writing my final year dissertation. I pretty much fueled all of this with coffee, cold pizza and instant noodles (I won’t lie, I may have had the occasional beer as well). Now, I am sure you all have your own little tips and tricks to help make the days a little less painful but, I have surveyed fellow public practice CPA’s who have been there, done it and got the grey hairs to show for it. These generous professionals have provided some insight into things they do to ensure they are at the top of their game. I hope they are of some help. Make sure you are eating sufficiently and taking the time to have a healthy breakfast, lunch and dinner. Consider using your meal allowance to cover a meal and healthy snacks for the remainder of the day. It is very important to drink enough water (6 to 8 cups a day). This really helps with concentration. Also use this as an opportunity to get up from your desk and stretch your legs as you walk to the water cooler. I have to admit, I am definitely not a fitness fanatic but agree with the majority of my network who said that making time for exercise is very important. I know it feels like you don’t have time to stop and think, let alone exercise but, keeping active helps alleviate stress and boost brain activity. For more information on how exercise affects your performance you should read; Exercise and Work Performance. Your firm may provide an on-site gym. Try and utilize this, even if it’s just for 30 minutes before work, at lunch or in the evening. Stand up often: It is most likely documented in your employee handbook, which is now lying somewhere in your drawer collecting dust but, for every hour you work, you should take a 5-minute break from the screen. Go grab yourself a glass of water, get a snack, interact with your team and ask if they need support. Using your Fitbit/ Apple Watch or a timer and set an activity challenge that makes you to get out of your seat. Stretch: Cater a stretching routine and/or take an afternoon walk, even if it’s around the client’s office. It is very important to keep some level of work/ life balance. You need the time to disconnect from work and partake in activities that you enjoy. This will drastically help improve your mood. You Only Get One Life! Flex hours: If your job allows for flex time, plan ahead and use this to do something besides work. For example, make use of your RMT massages, spend time with the family, start that book you’ve been wanting to read. “It is a marathon not a sprint”. Ensure you take breaks throughout your day. Utilize your lunch break. Go grab that coffee you want. I can be a culprit of this next one. Ensure you work Make sure you are not just running around like a headless chicken. Plan your day out and prioritize your workload. During busy season, it’s inevitable that you’ll be spending significant time with coworkers or engagement teams. The fact that everyone is in the same boat for 3-4 months is an incredibly effective way to build team camaraderie and lasting relationships. Take full advantage of this opportunity. Share your struggles with your team. “A problem shared is a problem halved”. Lean on the experience of your Managers or discuss issues with your team and find a common solution together. Come together as a team. Grab dinner with your engagement team, have a coffee with your coworkers, find a way to unplug from the work for 15-30 minutes and just get to know each other on a more personal level. Building these relationships will carry you so much farther in your career than finishing a certain engagement on time. Busy season is exactly that. A season. It comes and goes. Just think, soon enough you will be done and those long summer days will be just around the corner. Try and concentrate on the positives of this experience and learn from it. This is a prime-time for accelerating your learning and professional development. Accounting professionals with a public practice background bring technical and soft skills to the table that are highly desirable to an employer, and the challenges brought about by busy season fine-tune many of these skills.